For other people with the same name, see Mark Elliot. Stratford-upon-Avon, commonly known as just Stratford, is a market town and civil parish in the Stratford-on-Avon District, in the county of Warwickshire, England, on the River Avon, 91 miles (146 km) north west of London, 22 miles (35 km) south east of Birmingham, and 8 miles (13 km) south west of Warwick. 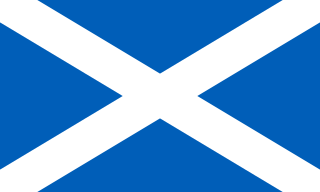 The estimated population in 2007 was 25,505, increasing to 27,445 at the 2011 Census. Syed Masood is a fictional character from the BBC soap opera EastEnders, played by Marc Elliott, and first appeared on screen on 21 April 2009. Syed is a British Pakistani and is the eldest son of Masood Ahmed and Zainab Masood, and brother of Tamwar, Shabnam and Kamil Masood. Syed's storylines see him fall in love with a man, Christian Clarke, and his eventual acceptance that he is gay. Syed initially marries girlfriend Amira Shah but later comes out, and enters a relationship with Christian, despite the pressures of his family and his Muslim faith. The term Anglo-Indian can refer to at least two groups of people: those with mixed Indian and British ancestry, and people of British descent born or living in the Indian subcontinent. The latter sense is now mainly historical, but confusions can arise. The Oxford English Dictionary, for example, gives three possibilities: "Of mixed British and Indian parentage, of Indian descent but born or living in Britain or of British descent or birth but living or having lived long in India". People fitting the middle definition are more usually known as British Asian or British Indian. This article focuses primarily on the modern definition, a distinct minority community of mixed Eurasian ancestry, whose native language is English. Warwick School is an independent school with boarding facilities for boys in Warwick, England. It is believed to be the oldest boys public school in the world, and the fifth-oldest surviving school in England after King's School, Canterbury, King's School, Rochester, St Peter's School, York and Wells Cathedral School. It is also believed to be the oldest school founded by a woman, claiming to have been established by Æthelflæd of Mercia in 914. It was active in the reign of King Edward the Confessor (1042–1066) and statues of Edward can be found in the entrance of the 1879 school facade and on the prefect’s lawn. Its headmasters have been members of the Headmaster and Headmistresses Conference since 1896. The History Boys is a play by British playwright Alan Bennett. The play premiered at the Royal National Theatre in London on 18 May 2004. Its Broadway debut was on 23 April 2006 at the Broadhurst Theatre where 185 performances were staged before it closed on 1 October 2006. Holby City (styled as HOLBY CI+Y) is a British medical drama television series that airs weekly on BBC One. Christian Clarke is a fictional character from the BBC soap opera EastEnders, portrayed by John Partridge. He first appeared in the show's 3,509th episode, originally broadcast in the United Kingdom on 17 January 2008, and was introduced as the brother of established character Jane Beale. 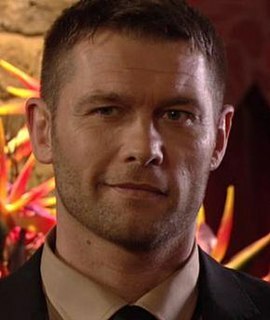 He was introduced as a new homosexual character for the show, following the popularity of Coronation Street's Sean Tully. Christian and Partridge's casting were announced on 20 November 2007. Tape is a 1999 play by Stephen Belber. It was first produced at the Actors Theatre of Louisville as part of the 2000 Humana Festival of New American Plays. It was later filmed by Richard Linklater as Tape starring Ethan Hawke, Robert Sean Leonard, and Uma Thurman. It follows classical unities of action, time and space, featuring three characters in a single plot regarding their differing perspectives of past events, in one unbroken period of real-time, in a single motel room set. Midsomer Murders is a British television detective drama that has aired on ITV since 1997. The show is based on Caroline Graham's Chief Inspector Barnaby book series, as originally adapted for television by Anthony Horowitz. A major success in viewership since its first episode, the series has been marketed worldwide in numerous countries. The Apollo Theatre is a Grade II listed West End theatre, on Shaftesbury Avenue in the City of Westminster, in central London. Designed by the architect Lewin Sharp for owner Henry Lowenfeld, it became the fourth legitimate theatre to be constructed on the street when it opened its doors on 21 February 1901, with the American musical comedy The Belle of Bohemia. Don Gilet is a British actor, best known for his roles in BBC productions Babyfather, EastEnders and 55 Degrees North. Zainab Masood is a character from the BBC soap opera EastEnders, played by Nina Wadia. She made her first appearance on 16 July 2007. Zainab is the mother of Syed, Shabnam, Tamwar and Kamil Masood. She is the wife of Masood Ahmed, who divorces her, and of Yusef Khan, who she remarries after a divorce decades earlier, and who abuses her. Wadia quit her role in 2012 and departed the series in the episode shown on 8 February 2013. Preeya Kalidas is a British singer and actress. She previously played Amira Masood in the soap opera EastEnders. Having done so, she returned to her career in singing, with her single "Shimmy" being released in July 2010 taken from her debut album (I'm Over It) Constant Craving, supposed to be released in September 2010. Tamwar Masood is a fictional character from the BBC soap opera EastEnders, played by Himesh Patel. He made his first appearance on 1 October 2007. On 12 March 2016, it was announced that Patel would be leaving the show, with Tamwar making his final appearance alongside Nancy Carter on 22 April 2016. Masood Ahmed is a fictional character from the BBC soap opera EastEnders, played by Nitin Ganatra. The character made his first appearance in episode 3452, first broadcast in the United Kingdom on 16 October 2007. Masood was introduced as part of the Masood family, an Asian-Muslim family gradually introduced across 2007 as part of plans to "diversify" the serial. This marked Ganatra's first role in soap opera and he was "nervous but excited" about joining the serial. His problematic marriage to Zainab Masood, who he had previously starred alongside, served as a key storyline for the character throughout his tenure. Early storylines for the character include bankruptcy and struggling to accept his son's, Syed Masood, homosexuality. Masood and Ganatra were received positive reception from viewers and critics and has been nominated for several awards. Elliott Jordan is an English actor. He is best known for playing Callum Monks in the BBC soap opera EastEnders and Jack in the ITV comedy drama Benidorm. Amira Masood is a fictional character from the BBC soap opera EastEnders, played by Preeya Kalidas. The girlfriend, and later wife, of Syed Masood, Amira first appeared on screen in the episode broadcast on 7 May 2009. The character was described as high maintenance, lonely and insecure. Amira and Syed's wedding on 1 January 2010 was watched by an average of 11.64 million viewers. Kalidas quit the show in January 2010 to concentrate on a career in music, filming her final scenes in March 2010. Her final episode was broadcast on 26 April 2010, after Amira discovered that her husband was gay and had been having an affair with Christian Clarke. She returned on EastEnders on 10 October 2011, but appeared in two extra scenes available on BBC Online and BBC Red Button called Amira's Secret, on 6 and 8 September 2011. The character departed on 8 March 2012. On 11 September 2012, it was confirmed that Kalidas would return to play Amira once more in a brief guest appearance, in the buildup to the permanent departure of Syed and Christian from the show. She returned on 6 November 2012, and departed once more on 12 November 2012. Holby City is a British medical drama television series that premiered on 12 January 1999 on BBC One. The series was created by Tony McHale and Mal Young as a spin-off from the established BBC medical drama Casualty. 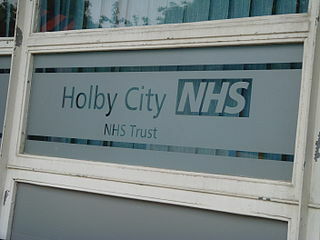 It is set in the same hospital as Casualty, Holby General, in the fictional city of Holby, and features occasional crossovers of characters and plots with both Casualty and the show's 2007 police procedural spin-off HolbyBlue. Yusef Khan is a fictional character from the BBC soap opera EastEnders, played by Ace Bhatti. Yusef is the father of Afia Khan and former husband of Zainab Masood. He appears from 23 November 2010. Described as strong-willed, he arrives as Walford's new general practitioner. He departed on 26 December 2011, following the end of his domestic abuse storyline with his wife Zainab Masood. Bhatti was voted "Best Newcomer" at the TV Quick awards and for "Best Storyline" for destroying the Masoods. Tosin Cole is a British actor. He is known for various roles in British television series and films. He began his on-screen career starring in The Cut and EastEnders: E20, later securing a regular role as Neil Cooper in the soap opera Hollyoaks. After leaving the show Cole appeared in a range of television series and commercial films for guest appearances and participated in many short films. In October 2017, the BBC announced that Cole had been cast as Ryan Sinclair in the 2018 series of Doctor Who. The thirtieth series of the British medical drama television series Casualty commenced airing on BBC One in the United Kingdom on 29 August 2015, and concluded on 30 July 2016. The series consisted of 43 episodes, including the broadcast of the show's 1000th episode on 25 June 2016. Erika Hossington continued her role as series producer, while Oliver Kent continued his role as the show's executive producer. Seventeen cast members reprised their roles from the previous series with five actors, including three long-serving cast members, departing during this series. Chelsea Halfpenny appeared in the serial between September and November 2015 as F2 Alicia Munroe, reprising the role as a main cast member in July 2016. Alistair Brammer joined the cast for a four-month guest stint as receptionist Jack Diamond in December 2015. Three new regular cast members joined the serial in spring 2016: Lloyd Everitt as paramedic Jez Andrews; Jason Durr as staff nurse David Hide; and Jaye Griffiths as consultant Elle Gardner. The seventeenth series of the British medical drama television series Holby City commenced airing in the United Kingdom on BBC One on 14 October 2014 and ran for 52 episodes, ending on 6 October 2015. The series saw the returns of Oliver Valentine, Henrik Hanssen, and Essie Harrison. Former series regular Hari Dhillon returned as Michael Spence for a six-episode guest arc. Former cast member Olga Fedori reprised her role as Frieda Petrenko for a guest appearance. Rakhee Thakrar is an English actress. She is known for portraying the role of Shabnam Masood in the BBC soap opera EastEnders. She also plays the Eighth Doctor's companion, Bliss, in Big Finish's Doctor Who: The Time War audio dramas. The eighteenth series of the British medical drama television series Holby City commenced airing in the United Kingdom on 13 October 2015, and concluded on 4 October 2016. The series consists of 52 episodes. Oliver Kent continues his position as the show's executive producer, while Simon Harper serves as the series producer. Sixteen cast members reprised their roles from the previous series, while several recurring characters, and numerous guest stars feature in the series. Four actors depart during the series and two cast members reprise their roles after taking breaks in the previous series. Jemma Redgrave appeared in the series between February and September 2016 as general surgeon Bernie Wolfe. Jason Robertson joined the semi-regular cast in February 2016 as Jason Haynes, and two new cast members joined the serial in summer 2016: Marc Elliott as registrar Issac Mayfield and Lucinda Dryzek as F1 doctor Jasmine Burrows. The nineteenth series of the British medical drama television series Holby City commenced airing in the United Kingdom on BBC One on 11 October 2016 and concluded airing in the United Kingdom on BBC One on 19 December 2017. The series consists of 64 episodes; an increase from the previous series. The twenty-first series of the British medical drama television series Holby City begins on BBC One on 2 January 2019 in the United Kingdom. The series consists of 53 episodes. Kate Hall acts as the series producer for episode one and was replaced by Jane Wallbank from the following episode; Simon Harper is the executive producer. The series is billed as an anniversary year for the drama as it celebrates twenty years since its launch. The series also features a crossover episode with sister show Casualty, an episode written by the show's co-creator Tony McHale and the show's 1000th episode, due to be broadcast in November 2019. Thirteen actors reprise their roles from the previous series and former cast members return for guest stints throughout the series. Three new regular characters were also introduced, while Nic Jackman was promoted to the main cast in his role as foundation doctor Cameron Dunn. 1 2 "About Marc Elliott". BBC. Retrieved 29 April 2010. ↑ "EastEnders' Syed Masood". BBC Asian Network. ↑ "EastEnders star Marc Elliott gets 'abused in the street' over gay affair storyline". Daily Mail . 19 May 2010. Retrieved 27 June 2011. ↑ "Marc Elliott plans festive TV". STV. 24 December 2009. Retrieved 26 May 2010. ↑ Wightman, Catriona (25 October 2009). "Elliott: 'EastEnders' ruined my birthday'". Digital Spy . Retrieved 26 October 2009. ↑ "Interview". BBC. Retrieved 14 April 2009. ↑ "Marc Elliott cast as 'Enders Syed Masood". Digital Spy . 20 February 2009. Retrieved 29 April 2010. ↑ "EastEnders star Marc Elliott gets 'abused in the street' over gay affair storyline". Daily Mail. London. 19 May 2010. Retrieved 19 May 2010. ↑ "'EastEnders' star Marc Elliott joins West End play 'Tape'". Digital Spy. London. 16 November 2012. Retrieved 16 November 2012. ↑ Brown, David. "EastEnders star Marc Elliott joins Holby City – see the first-look pictures". Radio Times. Retrieved 16 April 2016. ↑ Desk, BWW News. "Rebecca Trehearn, Marc Elliot, Amy Ellen Richardson, and More Star in Nottingham Playhouse's SWEET CHARITY". BroadwayWorld.com. Retrieved 2019-01-31. ↑ "Marc Elliot Theatre Credits". www.broadwayworld.com. Retrieved 2019-01-31. Wikimedia Commons has media related to Marc Elliott .